Categories: melatonin | Tags: bananas, cherries, diet, melatonin, oatmeal, oranges, pineapple, sleep, tomatoes | Permalink. Botanically considered fruits but legally declared — and commonly used as – vegetables, tomatoes have inspired their share of controversy. Should ketchup count as a serving of fruit? Should tomatoes be taxed as fruits or vegetables? Mass-produced supermarket tomatoes once came in one color (red) and two shapes (round or oblong), but now – thanks in large part to the return of heirloom cultivars and farm-to-table trends – stores offer several varieties, colors and shapes from which to choose. I plan to try them all. 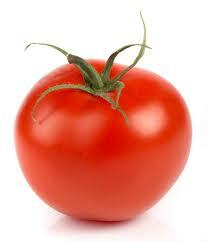 A medium raw tomato serves up a mere 22 calories, no fat, a gram of protein and just shy of 5 grams of carbohydrates. So why stop at just one slice on your sandwich? Tomatoes are an excellent source of lycopene, vitamin C and the much-loved vitamin A, a nutrient contained in many red and yellow fruits and veggies. While lycopene’s moment in the media spotlight has passed, the benefits of this amazing antioxidant (a pigment that gives the tomato its red hue) is still extremely worthy of attention. A small pilot study has found that lycopene may improve bone health. Yes, you may be able to eat tomatoes to help prevent osteoporosis! This cancer-fighting, heart-protecting carotenoid gets even more concentrated when tomatoes are cooked. 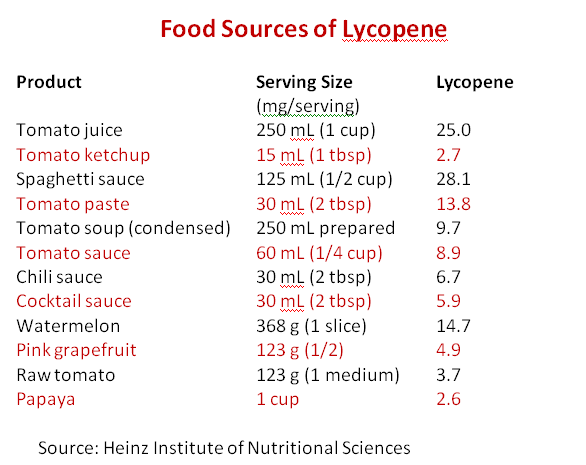 Add a little fat or oil to your cooked tomatoes, and a larger amount of lycopene is absorbed by your intestines. Score! Lycopene was initially linked to prostate health, but that research has proven to be less promising than originally reported. Still, studies prompted a lot of men to start eating more tomato-based foods, which is great news. I eat fresh-from-the-garden tomatoes like apples. You can pop those little cherry tomatoes into any snack bag, and if you are a knife-and-fork kinda eater, I cannot recommend a Caprese salad strongly enough. Tomatoes make an amazing main dish. Following a gluten-free and vegetarian diet? Try quinoa-stuffed tomatoes. If you need to pull off an impressive brunch, you cannot go wrong with a beautiful tomato tart. Of course, the classic grilled cheese would not be complete without tomato soup to accompany it. Heirloom tomatoes tossed in a salad or chopped and sprinkled atop crostini are among my favorite summertime indulgences. Period. I’m not telling you to toss your sunblock, but according to a small study published in the Journal of Nutrition, cooked tomatoes can actually act as a sunscreen when paired with fat. The study found that the lycopene in the tomatoes, when paired with fat, had an SPF of 2 or 3, helping to protect the skin from UV ray damage. Categories: Uncategorized | Tags: diet, tomatoes | Permalink.